Dictionaries can be invaluable in studying literature. Literature authors craft their words, so many novels, plays or poems have unusual words or difficult constructions you won’t encounter in everyday conversations, while some words are unique to specific works of literature, or to the literature of a particular author, era or movement. 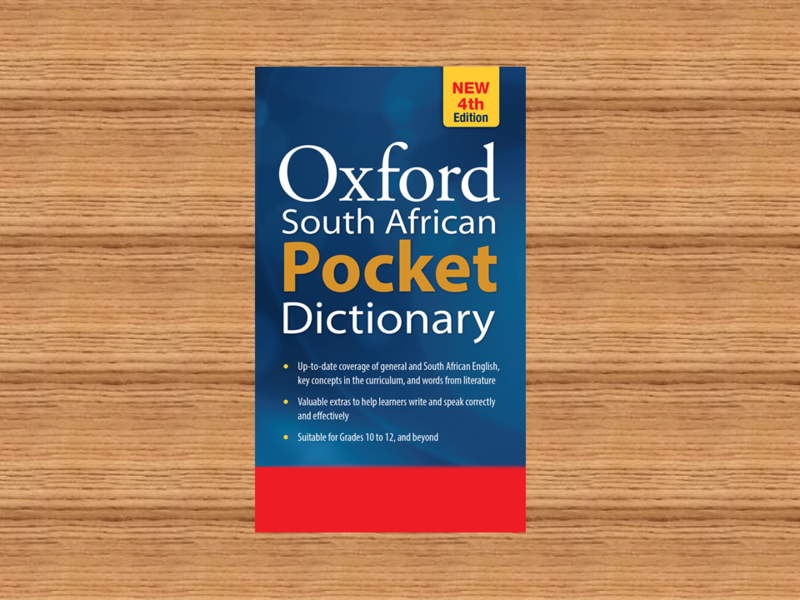 A dictionary can also equip you with the vocabulary to analyse texts or explain literary concepts. These could be any words used in a novel, play, or poem that you don’t know the meaning of. Looking up their exact meaning and various senses in a dictionary may clarify or change your perspective or understanding of the text. Some may be labelled ‘literary’, but others may be non-literary – although unusual – words you would encounter outside of literature too. Examples of these are abode, crapulous, occidental, serpent, unman, visage, or woe. 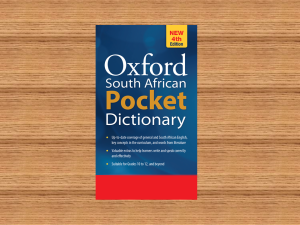 A good South African school dictionary would include definitions of basic literary terms and concepts you should know when studying literature. These will equip you with the vocabulary to criticise or write about a text, for instance in an essay, and help you to understand and answer comprehension tests or exam questions. Examples of these are assonance, onomatopoeia, satire, Shakespearean, storyline, tragic, or tragicomedy. Language is always changing, and language from long ago, such as from the Elizabethan Era (end of the 16th century) when Shakespeare wrote his plays, may seem incomprehensible to readers today. Some school dictionaries include literature texts in their corpus (the pool of words from which the entries in the dictionary are selected) with the result that the dictionary will cover literary words as well. Examples of archaic, dated or literary words are accursed, adieu, afar, bard, greensward, o’er, oft, ‘tis, or yonder. Some literary words or terms have become part of our everyday language. Your dictionary may show the origins of such words and clarify what would be impossible to guess unless you knew the context these words first appeared in. Examples of these are bowdlerize, Romeo, sea change, Svengali, or witching hour.